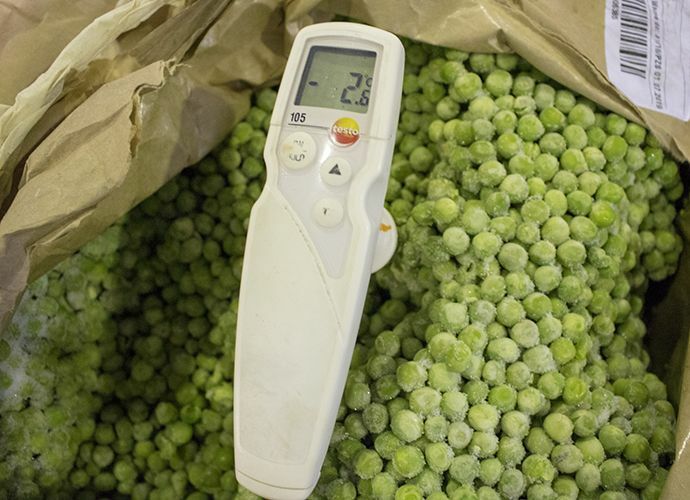 Defrost in minutes, avoid drip loss, improve yield. 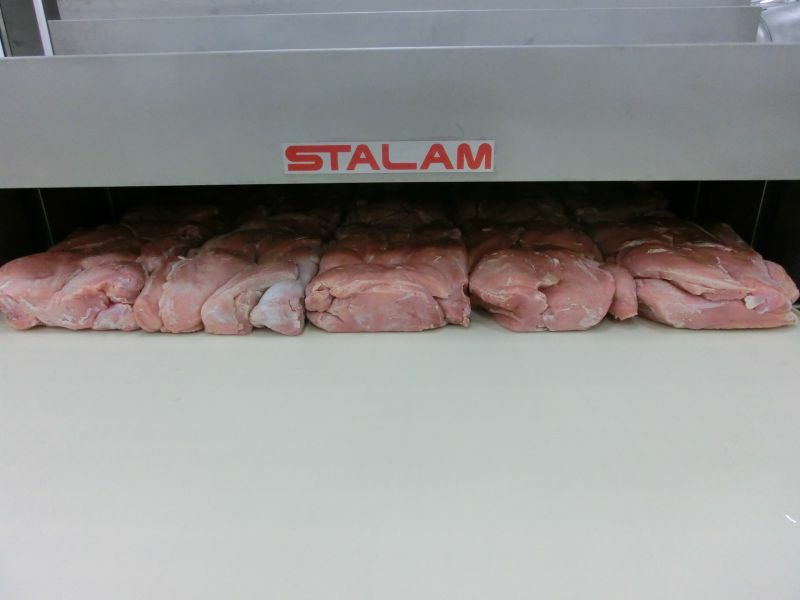 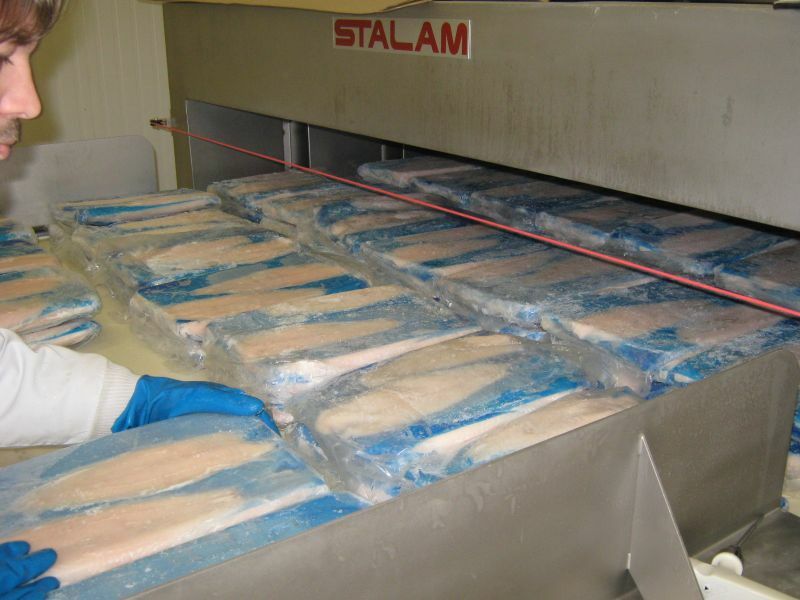 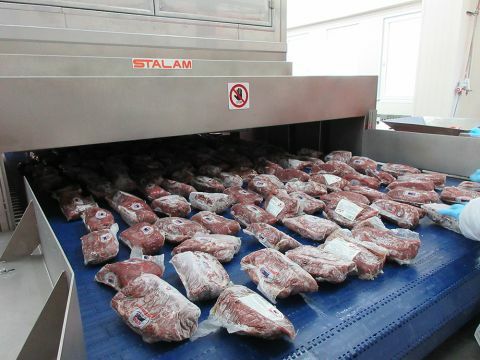 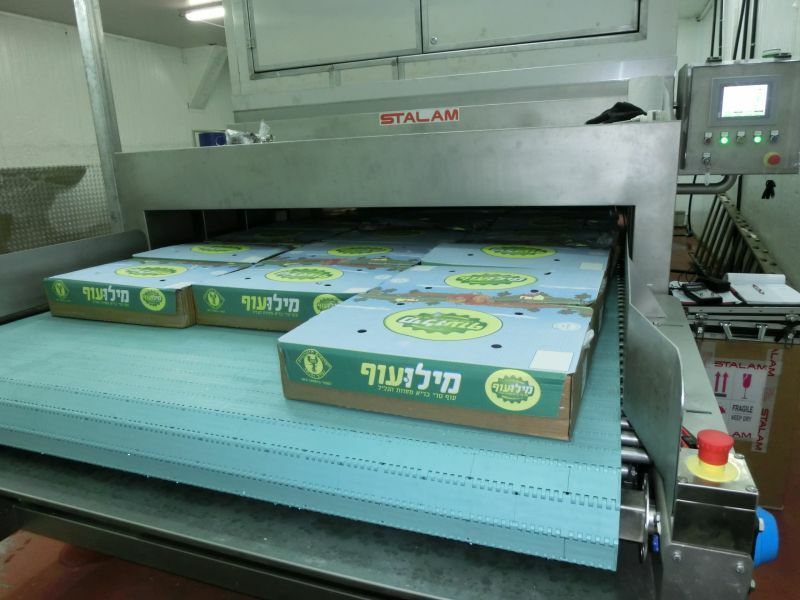 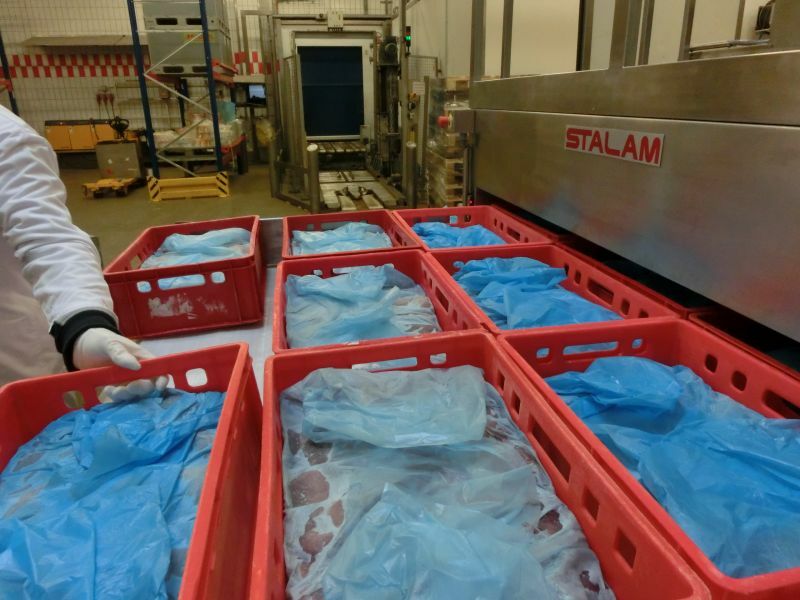 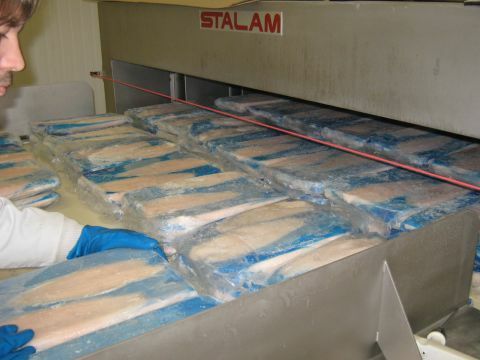 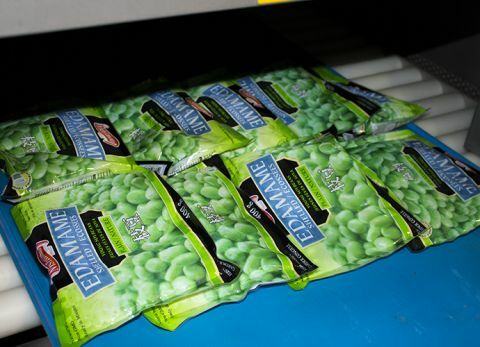 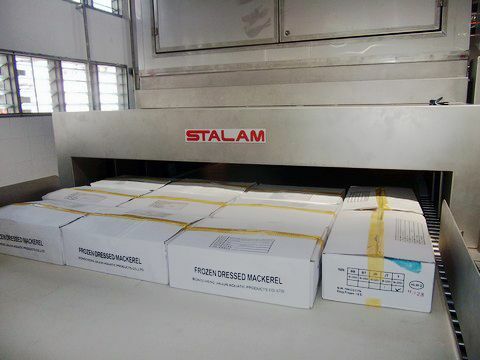 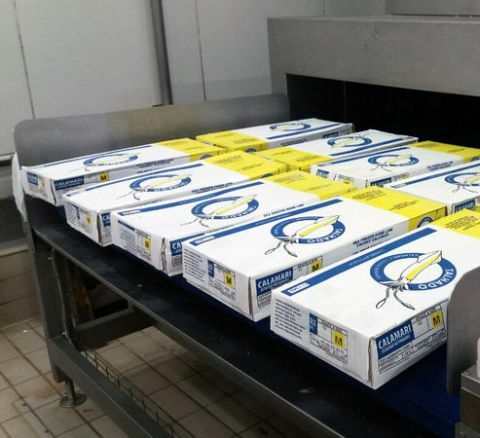 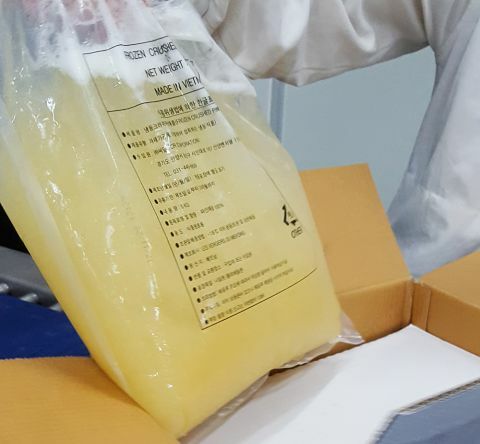 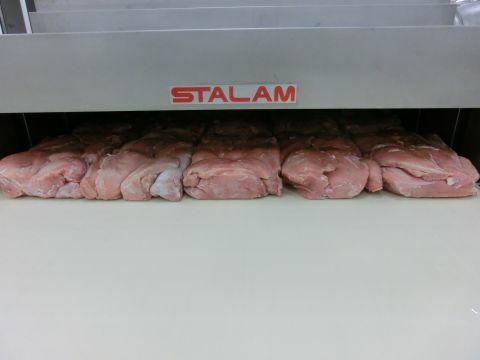 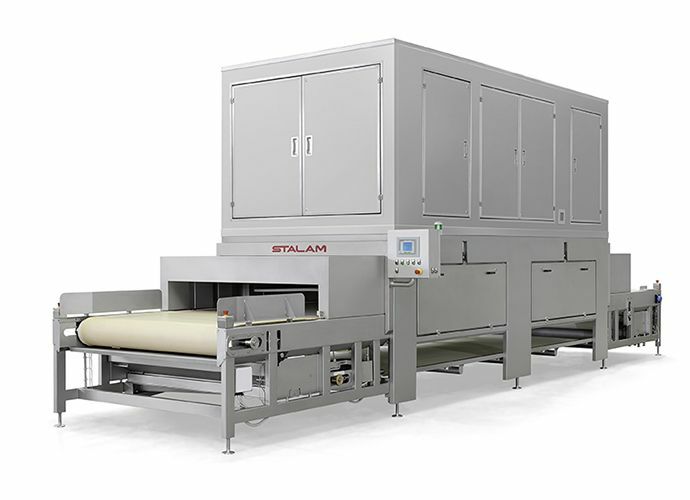 Stalam has developed a rapid in-line defrosting equipment based on the Radio Frequency technology that allows a significant reduction of drip losses and minimises product deterioration due to bacterial growth. 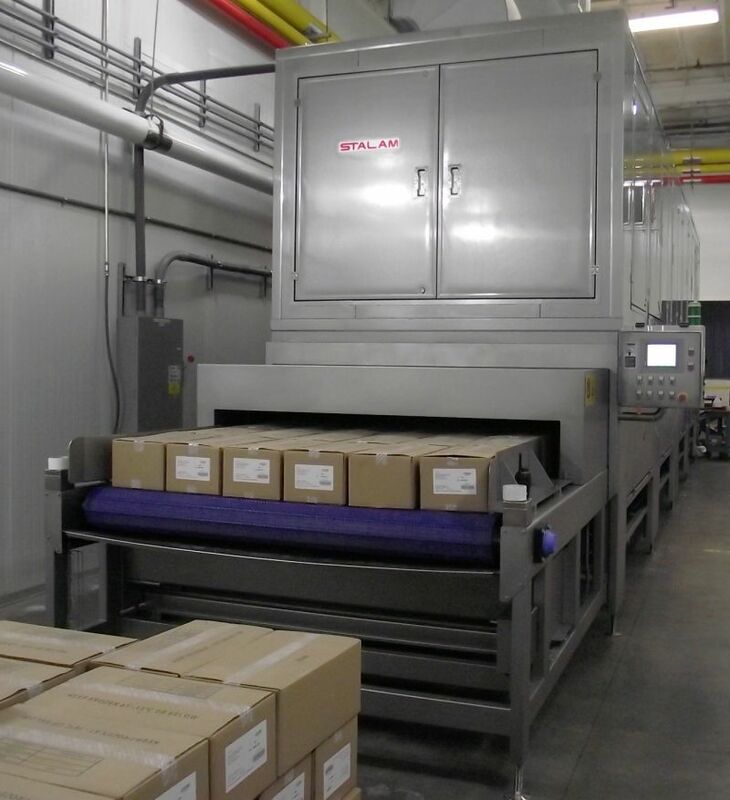 This fast, uniform and controlled heating method offers great flexibility in production scheduling and is the ideal solution for many tempering, softening and defrosting processes. 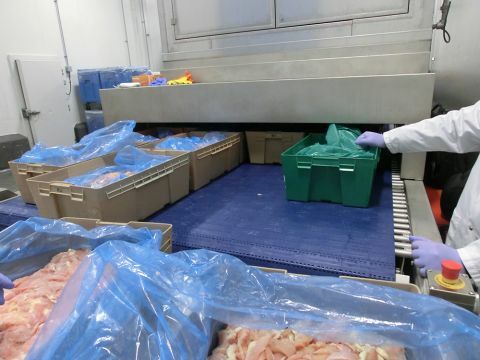 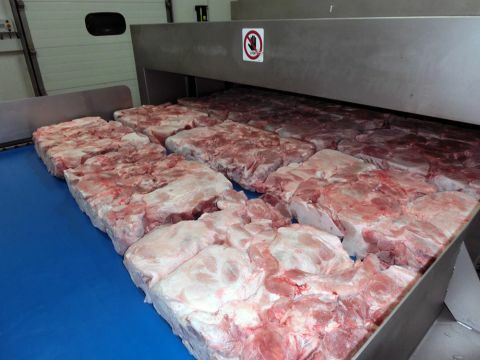 Defrosting is achieved in minutes rather than hours/days, even for large product blocks and, if necessary, directly inside packaging used for storage or retail distribution (carton boxes, polyethylene liners, etc.). 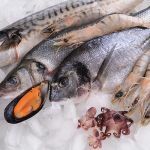 The process speed and uniformity minimise the risk of product degradation (drip losses, deterioration of sensorial, chemical and physical characteristics, bacteria growth, etc. 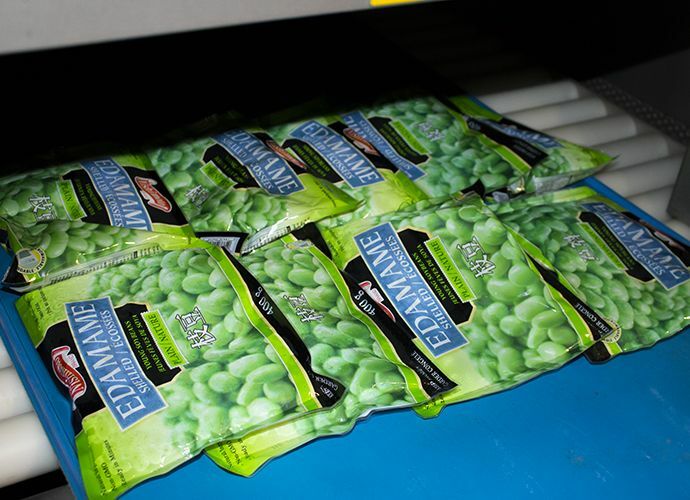 ), thus helping to preserve at its best the product quality. 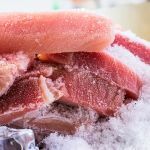 Defrosting can be achieved with virtually nil drip loss, that means eliminating completely the weight losses (up to 6-8%) caused by conventional defrosting methods. 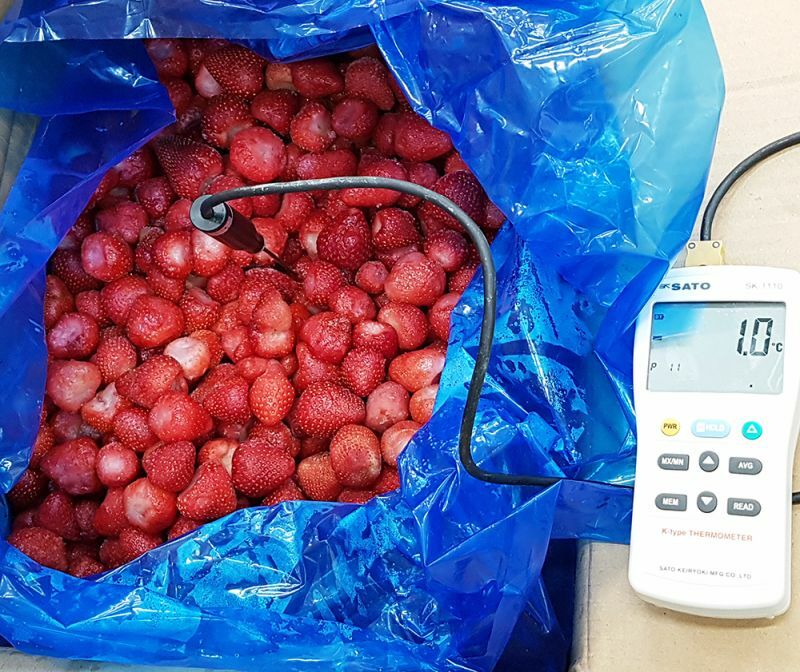 The improved yield brings immediate economic benefits that allow for an RF equipment pay-back period as short as 6 to 12 months. 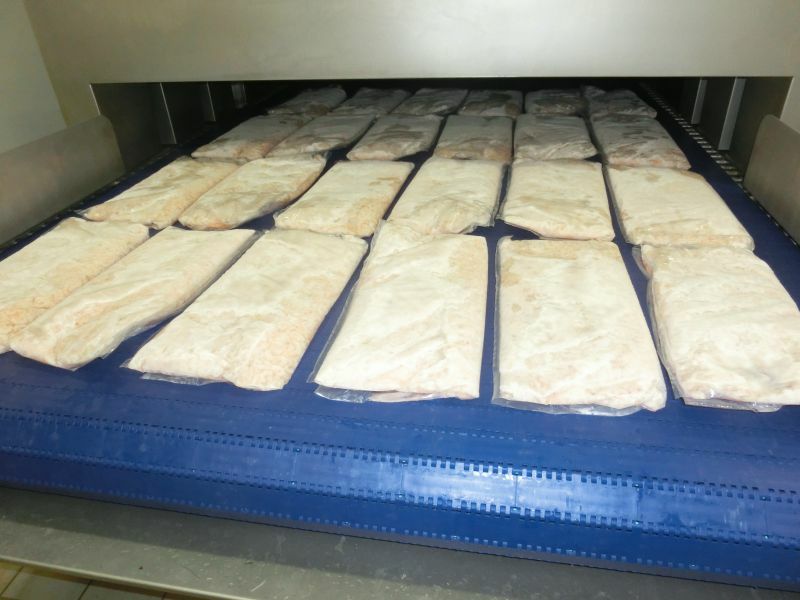 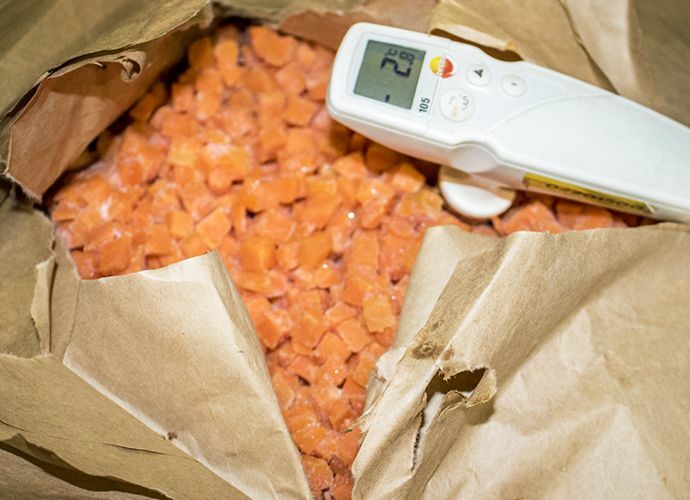 The product can be obtained at the correct temperature needed for the next process. Also, weather and external ambient conditions do not affect the treatment, so that it can be controlled accurately and consistently. 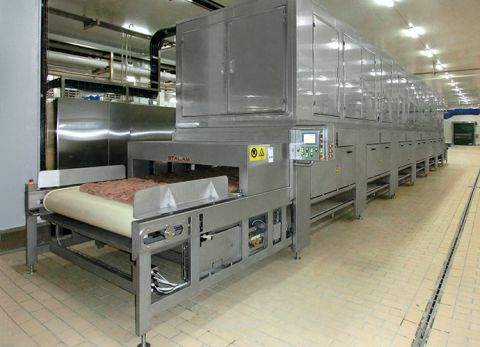 Radio frequency equipment requires much less floor space compared to the traditional, large defrosting rooms or equipment; defrosting costs are also reduced drastically, thanks to the absence of energy losses to the ambient. 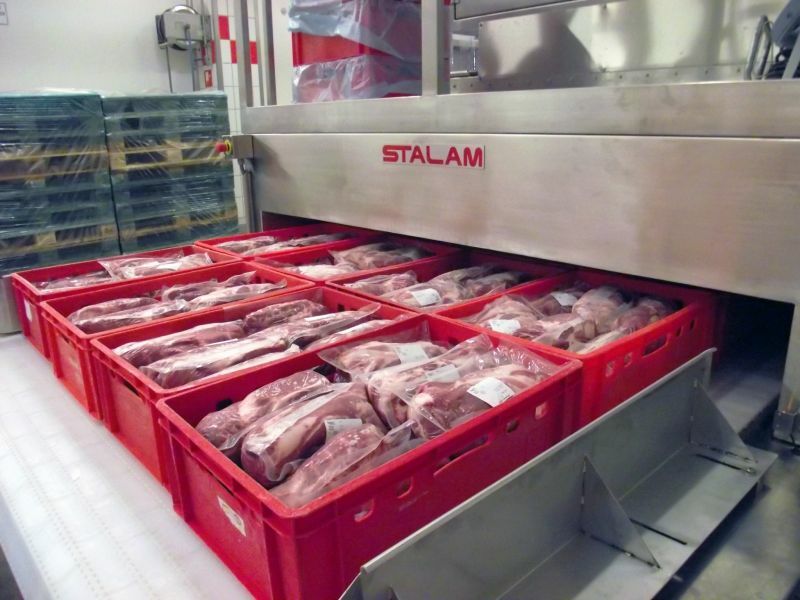 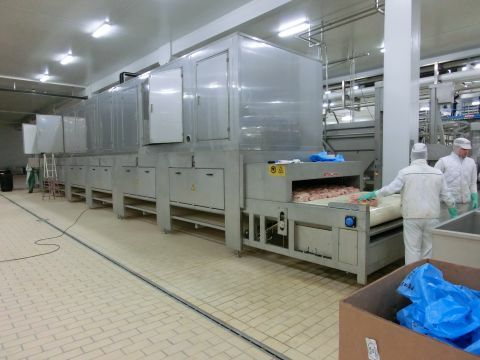 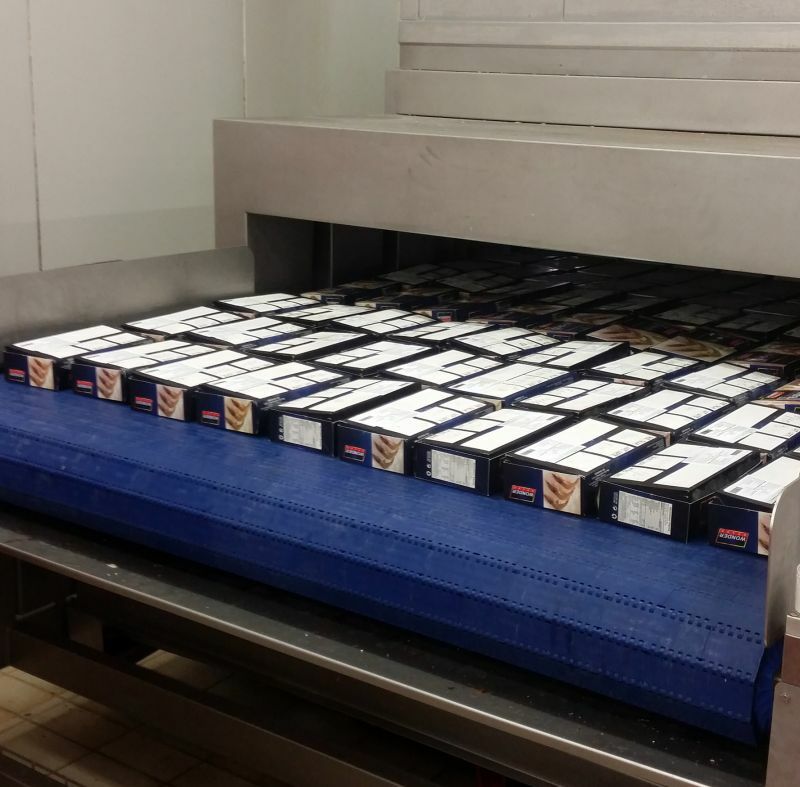 Thanks to the high process speed, radio frequency defrosting can be carried out continuously, with significant logistic advantages in product handling and production scheduling. 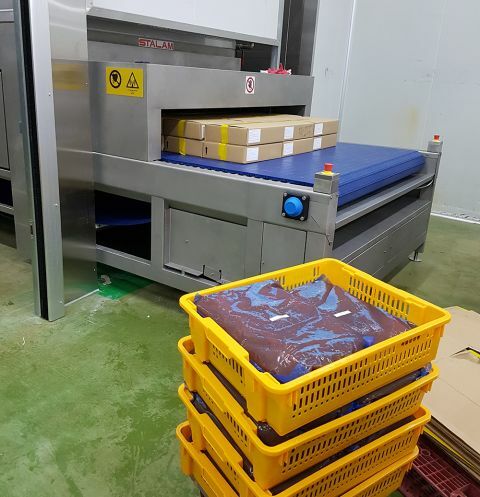 The production can be organised according to "just-in-time" criteria - a great advantage in the case of sudden orders, last-minute changes in the order or under processing, etc. The product is placed on the machine’s conveyor belt and is transferred continuously through the RF unit (tunnel) passing between upper and lower metallic plates. These plates (also called electrodes) form an electrical capacitor and the product in between the plates becomes the dielectric element of that capacitor. 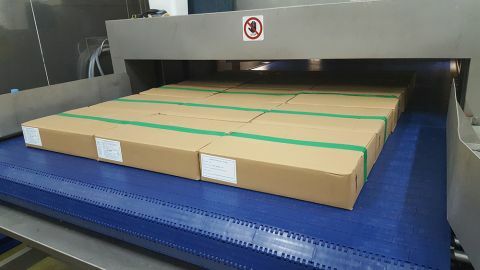 The electrode plates are connected to a radio frequency generator oscillating at a frequency of several million cycles per second. 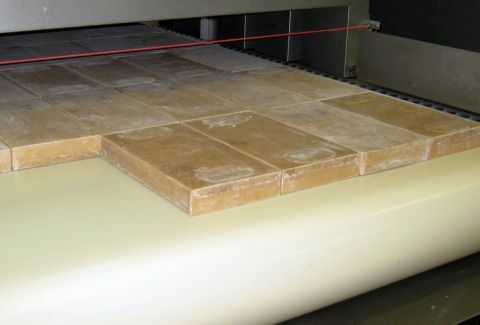 When the RF generator applies high frequency alternating voltage between the capacitor plates, the dipolar water molecules of the frozen product will vibrate and rotate attempting to align themselves according to the fast changing opposite plates polarities. 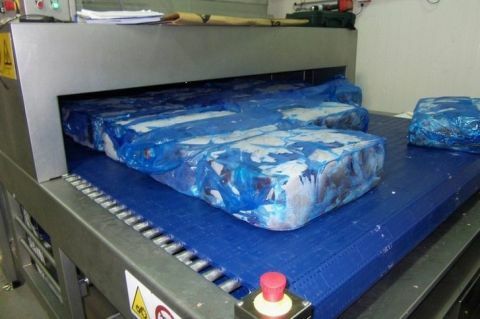 This phenomenon causes intermolecular friction, which will in turn generate heat rapidly and uniformly within the whole product mass regardless of its size, weight, shape and thermal conductivity. 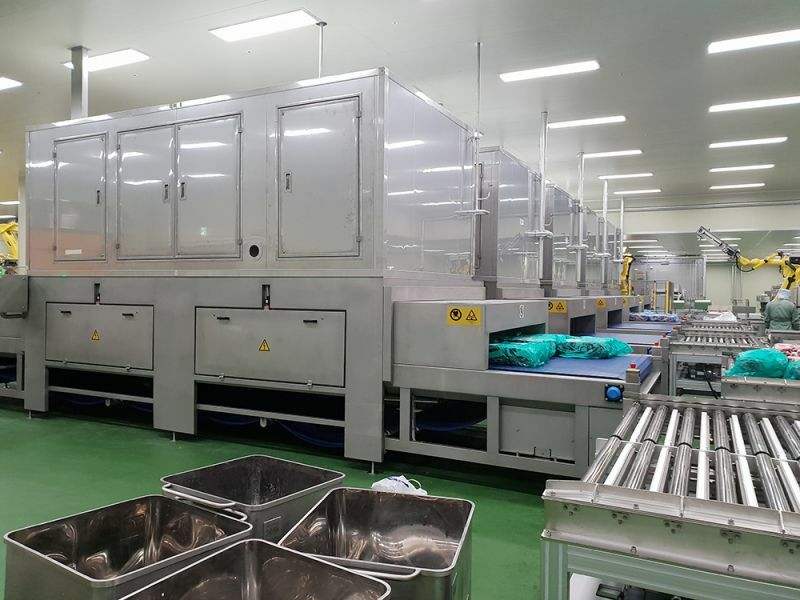 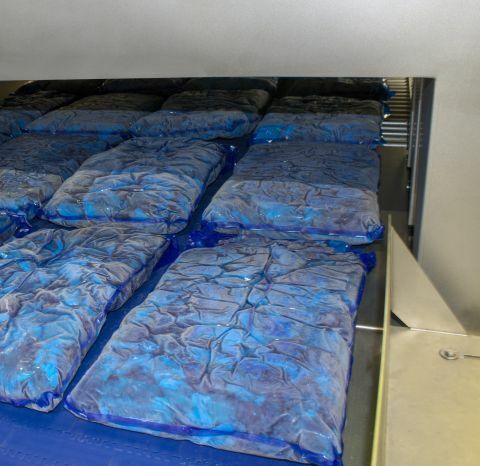 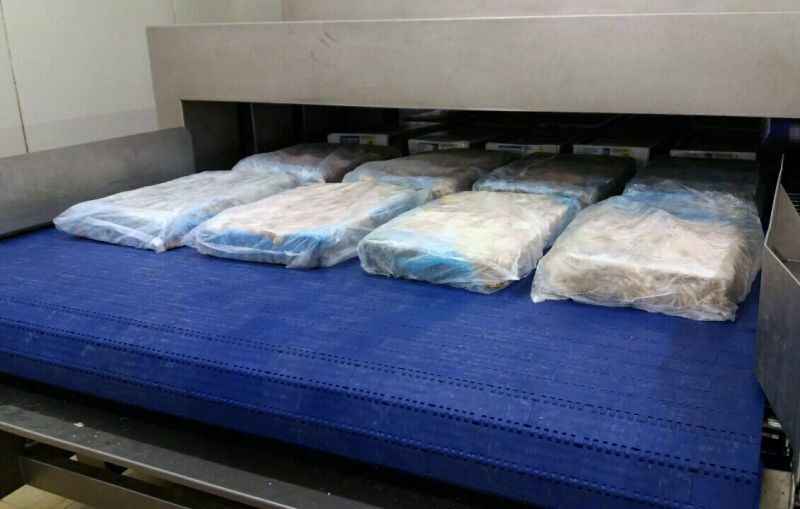 The amount of heat generated inside the product and the defrosting time are accurately controlled through the voltage applied on the electrode plates and the speed of the conveyor belt.